You know you need an email list. But do you know what’s the key to getting people to actually sign up for your email list? The whole point of opt-in freebies is offering value to your audience. Why would they want to sign up for your email list? What’s in it for them? Why would they want to just randomly give you their precious email address for nothing in return? You need to provide something valuable to them. An offer they just can’t refuse. If not, you might end up just wasting your time trying to get people to subscribe. It’s something you need to offer your readers — but what exactly is it? Opt-in freebies are digital products that focus on solving a problem your reader is having right now. It has to be something related to your blog post or to your niche and it has to be something helps your audience achieve a specific result. Besides as a way of getting people on your email list, a freebie can also serve as part of your sales funnel. AKA warming up readers to become future customers! There are tons of benefits to offering freebies. So let’s talk about five opt-in freebie ideas you can start working on ASAP to get your blogging business off the ground. The first is an ebook! Do you have a topic you can shortly go more in-depth in? Is there something your readers want to know more about than what they’ve read in your blog post? If you do, it’s time to piece it together in a short ebook! Don’t be afraid of the idea of creating an ebook. You don’t have to go crazy. An ebook can be as short as a few pages so don’t think that you have to write a novel. You can create anything from 5 pages long to 30. The sky’s the limit. And it’s basically just a PDF so you can easily create an ebook with Canva. Canva is a super-easy-to-use drag and drop graphic design tool. Next up is one of my favorites! An email course. It’s a free mini-course in the form of emails. When a subscriber signs up for the course, you send them daily or weekly lessons that help them learn and achieve a specific result. A good example is my Pinterest email course. It’s a five-day course I created that helps my readers go 0 to 100 when it comes to harnessing the power of Pinterest for their blogs. If you have something you can break up into lessons, think about offering a free email course to your audience. It can be an excellent way to help them achieve a quick win and learn something new. If an email course sounds right up your alley, come read my tutorial on how to create your very own. If designing is more your style and you love to CREATE and be artistic, you might want to offer templates, stock photos, or graphics instead. These are creative assets that your audience can use to create something else. An end product. They could use stock photos for their blog or use them to create Pinterest graphics with. Or maybe you want to offer a template for an ebook. Whatever it is, if you’re able to create and it makes sense to offer it, you should! Videos are fun. If you’re confident on camera, you can create videos as opt-in freebies. I love using video walkthroughs (screen recordings with voiceover) to teach my audience how to do something and I use them as content upgrades from blog posts. You can also offer live or pre-recorded webinars where you can teach a concept to your readers in about an hour (or however long you want). You can promote the webinar to your audience and encourage them to opt-in to get access to it. And once the webinar is over, you can also offer webinar replays as an opt-in freebie too! While they aren’t exactly used to help create an end product, it’s still something you can design for your subscribers. It will help them achieve something & is more of a “done” opt-in freebie. Let’s say you blog about organization or cleaning — creating a checklist or a schedule your readers could print and fill in could help them achieve a certain result. Help them achieve their goals! Some fun ideas for printables are calendars, checklists, cheat sheets, wall art, workbooks, and so much more. You can design these on Photoshop or Canva and offer them in a PDF format. Once you know what you’re going to make, it’s time to actually create it! You’ll need to know first what format your freebie will be in (based on the ideas above.) Think: PDF, video, template, etc. A good tip is to find out which is the best way your audience prefers to digest information. Do they like reading? Or are they more visual learners? You can find this out by sending out a survey or setting up a poll on insta stories. After you decide what the format is, you will choose how you will make it. If it’s a PDF or printable, I definitely recommend Canva! It’s so easy to use with its drag and drop interface. 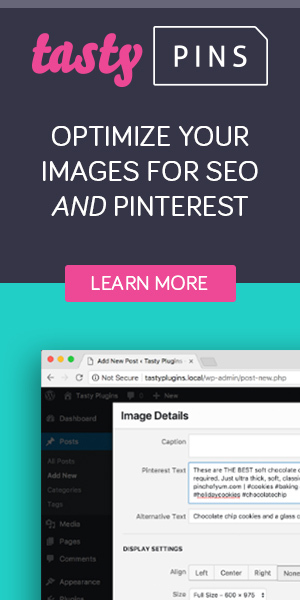 Canva even actually has templates to choose from to get you started. Or if you’re making a template, you can use Photoshop or whatever design tool you’re most comfortable using. As for video, remember: you don’t need fancy equipment! Your laptop’s webcam is more than enough. For screen recording, I like using Active Presenter. Whatever you decide to create, make sure it’s easy to understand, concise, and on brand. Use the same colors and fonts that you use on your blog so that everything matches. The most important part besides creating your opt-in freebie is PROMOTING it! No one will sign up for your freebie if they don’t know about it. So show it off and put it in places that your audience can see. Place opt-in forms in relevant blog posts multiple times. Don’t put opt-in forms for freebies in posts that don’t even relate to the topic. It needs to go together. It would make no sense to place an opt-in freebie offer for a budgeting worksheet in a fashion blog post or something else crazy like that. So think about whether or not your freebie relates to your blog post before adding the sign-up forms into your post. It’s important to know where you’re putting them to maximize conversions! You can also place them in your sidebar or as pop-ups. Besides embedding the form in posts and in your sidebar, you can also just make specific pages for your freebies. They’re called landing pages and they’re super easy to make. Here’s an example of my Blog Roadmap landing page. I use a resource library to house all my freebies. So when someone opts-in, they receive an automated welcome email with the password to my library! I use MailerLite to set this up. Once they have the password, they can log in and download their freebie. Or you can directly send it over to them by setting up automations to deliver the file or link to them upon signing up. It’s totally up to you how you want to set it up. I personally think freebie libraries are so much easier! If you want to learn how to set up your own resource library for free on WordPress, check out my tutorial. Opt-in freebies are an amazing way to grow your list. They’re THE way to grow it! They’re simple, effective, and provide value to your readers. And they’re great because they warm up your audience to understand and recognize the kind of content you provide. So when you’re ready to offer paid offerings, they’ll bite! Have you ever downloaded a freebie that blew you away? Like THIS is what they offer for FREE? And you can’t imagine the kind of value they provide for paid content!? That’s what you want your readers to feel. So you add attachments to your emails or do you have a password protected page with all the freebies? The latter seems like it would require something like Fetchapp to set-up and would be difficult or time consuming.